PHILADELPHIA – The University of Pennsylvania Health Systems’ Perelman Center For Advanced Medicine has been awarded the International Architecture Award for Best New Global Design by the Chicago Athenaeum, the Design Award of Special Recognition by the Pennsylvania SARA (Society of American Registered Architects) and was given an Honorable Mention in the Healthcare Sector by World Architecture News (WAN). 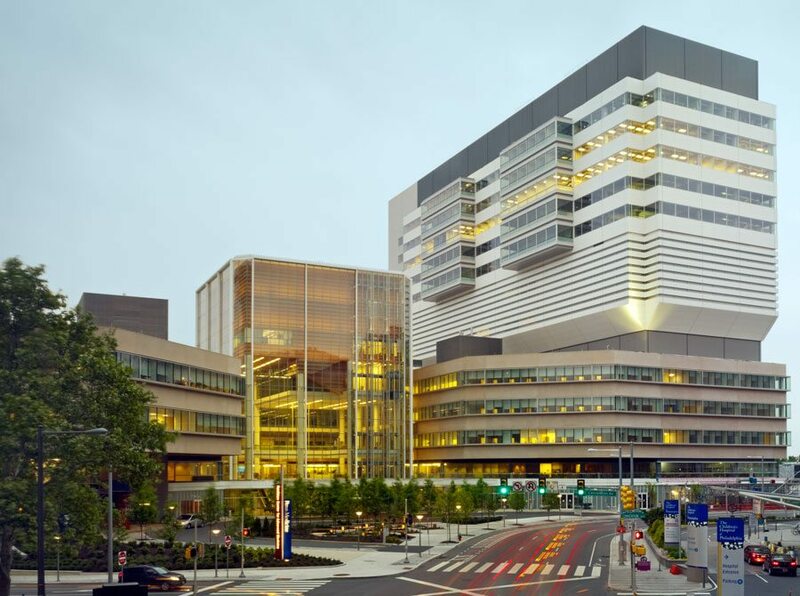 This first phase of the three-phased master plan, completed in 2008 as a joint venture with Perkins Eastman, is a 1.3- million-square-foot ambulatory care and cancer center, designed to integrate the surgery, cardiology, imaging, and cancer departments of the UPENN health system into one state-of-the-art building. The building greatly increases the site’s density and offers a new public gathering space. The Center for Advanced Medicine is a part of an overall master plan for current and future expansion. During construction of the Perelman Center, Viñoly was retained for a 14-story extension adjacent to the western wing. The Penn Medicine Translational Research Center (TRC) expansion, completed in 2010, contains three floors that extend the clinical spaces of the original Perelman Center, along with seven stories of research laboratories. Construction has commenced on the third phase of the master plan, the South Pavilion.